Market State 7A – (7 days) Transitional/Bear Market State: The Portfolio Thermostat has been in a Transitional/Bearish Market State for the last 54 trading days, though it has been in a “Transitional” market environment since August 20th when the Portfolio Thermostat shifted out of a Bullish Market State. 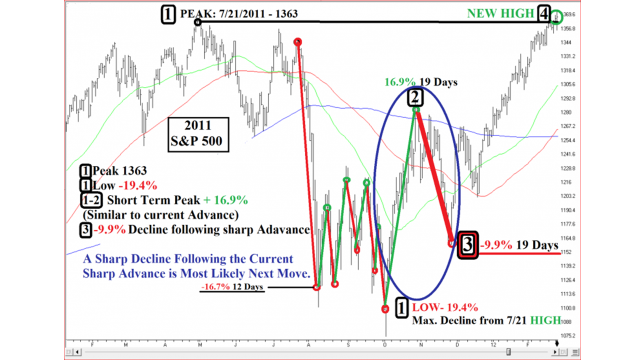 The Market States “A” Series (7A, 8A, 9A, 10A, 11A, and 12A) denote Transitional/Bearish Market environments, which follow a Bullish Market State. 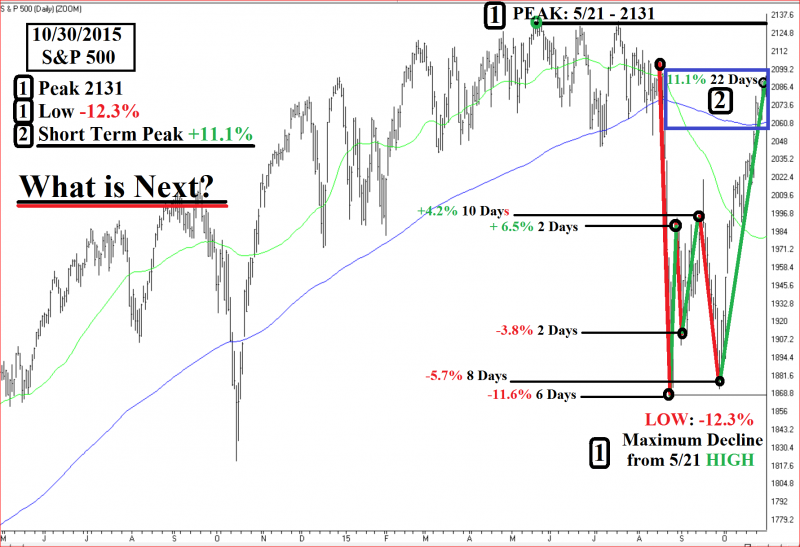 Confirmed Bearish Market States follow the A Series. Canterbury Volatility Index (CVI 84) – Bullish: Volatility continues to decrease. Is this the calm before the storm or a return to stability? The large daily swings in value of 1.5% or greater (up or down) are not as frequent over the last three weeks as they were following August 20th. 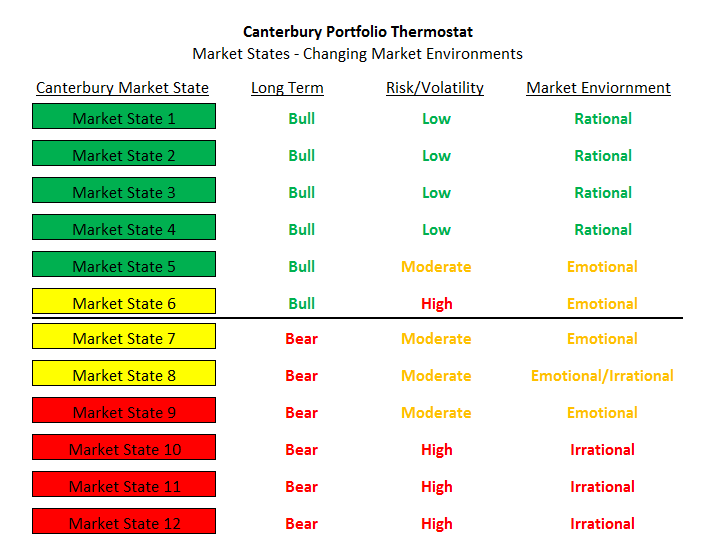 Canterbury’s controlled studies on historical S&P 500 data have revealed statistically valid evidence that the risk of substantial declines can be effectively managed when the “Portfolio” is in one of the 5 Bullish Market States, as defined by the Portfolio Thermostat model. (Please see description of the 12 Market States and Canterbury’s Market State test on the Dow Jones Industrial Average from 1929 through 2014). This is because the portfolio can typically limit declines to normal corrections in the 8% to 12% range. The key then is to maintain the Portfolio in one of the Bullish Market States, regardless of the current status of the global and alternative markets. As a result, we have determined that passive strategies, which maintain a fixed asset allocation and diversification, will eventually subject the portfolio to the unbridled risk of bear markets and high investor emotions. Either or both of these risks can result in a failed long-term investment program. In other words, we cannot rely upon passive strategies to manage risk in the dynamic and ever-changing market environment. 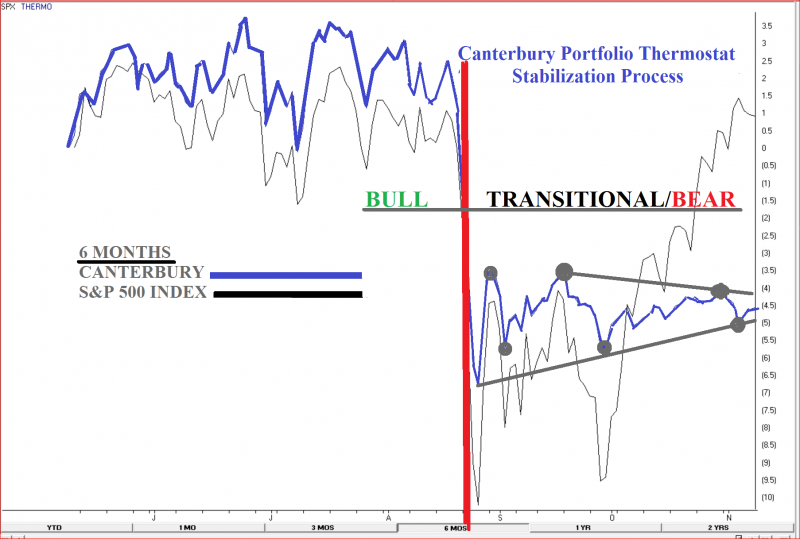 The following charts are examples of the high variability and lack of predictability characteristic of Transitional and Bearish Market States. There is an old saying that “a bull market will crawl a wall of worry” since investors generally tend to be pessimistic during bull markets. Several years ago, I coined the phrase “a bear market will slide a slippery slope of hope,” meaning that bear markets are marked with several large short-term rallies. These rallies, like the current one, give investors hope that the worst is behind them. 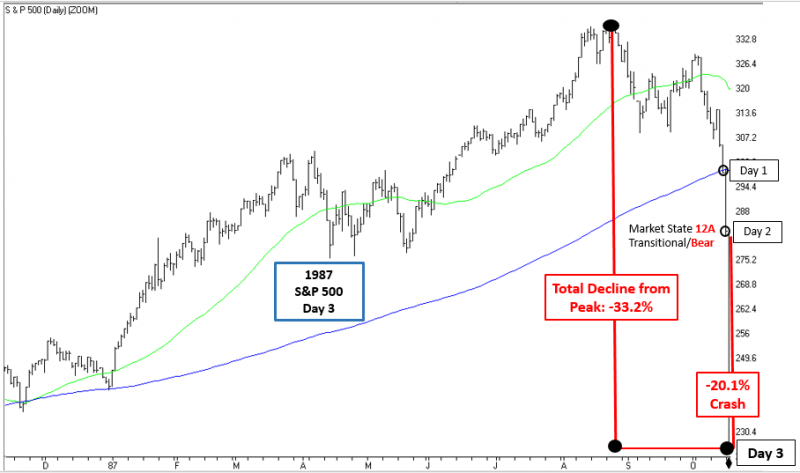 History shows that most transitions begin the same way with a decline, kick back rally during which time adjustments are made. 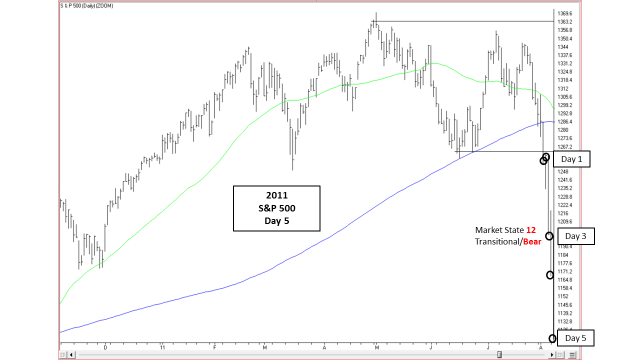 After the first rally, the market remains volatile and will continue to swing in both directions, up and down. Our concern is to maintain stability until the new bear market is confirmed or the previous bull has been reestablished by our indicators. Below are some examples of the S&P 500 entering Transitional Market States. I think you will be surprised at the risk and irrational behavior experienced during the early stages of Transitional Market States. Markets and securities can perform either better or worse than the companies they represent and/or their underlying assets. This is because markets and securities are liquid. As such, prices will fluctuate based on levels of supply and demand, which means that they will experience both bull and bear market environments. Successful investing depends upon not getting caught up in the emotional swings of a transitional or bear market. Just because you had a big October, does not mean you are necessarily making money. You only “make money” on the days your account value hits a new high. 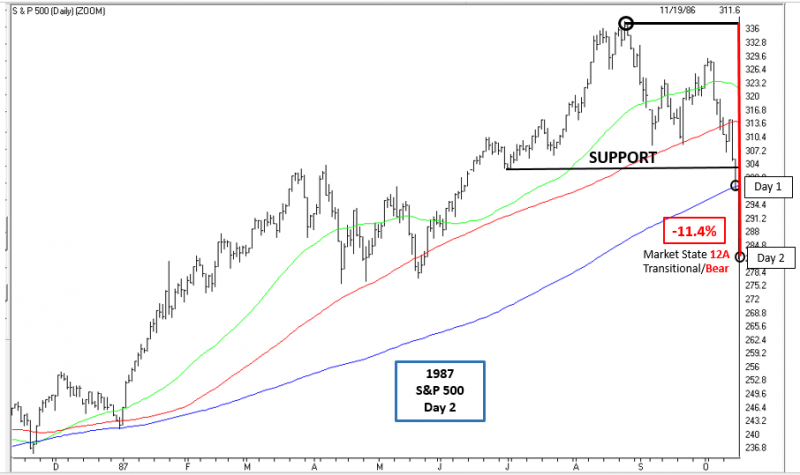 Granted, the current rally could eventually lead to a bull market, but as it stands now, the recent bounce is merely a typical bear market rally that just followed the worst quarter in four years. Those who temporarily benefitted in October did so without any meaningful risk management, and there is no reason to believe that the temporary gains can be retained. Make sure that your investment management process can make the proper adjustments to stabilize the portfolio while in a Transitional Market State. Daily portfolio fluctuations should not exceed 1% to 1.25%, following the adjustment to match the new environment. 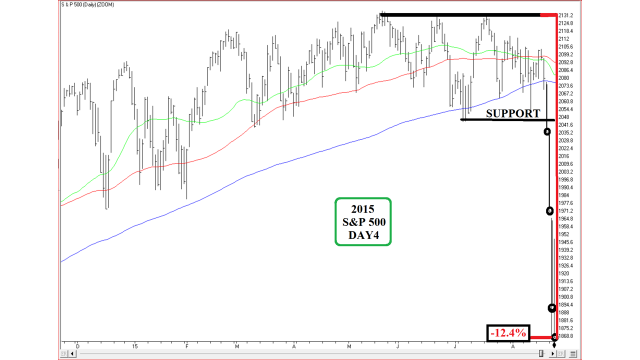 There will be a few daily outliers on days of extreme volatility. Your portfolio should have the ability to maintain the risk of declines (drawdowns) to a normal correction of 8% to 10%, with rare 12% outliers. You can achieve long-term compounding if you can limit your peak-to-trough drawdowns to this range while retaining the potential for upside appreciation. Do not let emotions circumvent the system. Markets and portfolios are complex and counterintuitive. We feel good at peaks and bad at the bottoms. There is no room for subjective decision making when it comes to portfolio management. Do not focus on the individual parts. It is all about the portfolio as a whole and its ability to remain efficient and stable. Portfolio management is a lifelong process. It takes technology-based applications to manage the myriad of choices and new tools that are continually being introduced. Source: All charts within this document were produced in AIQ.